Thanks to your feedback, Swimia has become in just a few months one one of the most crucial web-sites of swimming pools. Here you have got all the info we know about Huddingehallen, in Huddinge. 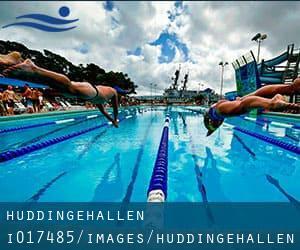 Don't forget you can also promote this pool so Huddingehallen will appear the first of Huddinge, or even the very first of your country, contact us to know even more. Swimmers like you reported 25 meters, Indoors. Unfortunately we do not have the e-mail address of this Swimming Pool, but we can give you the phone number. Updated on 2019 Hagstraket 9 , Spanga , SWEDEN (Postal Code: Unknown). Among all the activities offered by the center, if you are interested in swimming you can expect to enjoy 25 meters, Indoors. Just in case you want to make contact with this Swimming Pool just before dropping by, we only know the phone number. Updated on 2019 Vardshusvagen , Fittja , SWEDEN. This sports center delivers 25 meters, 4 lanes, 1.1 meters - 1.6 meters depth, 1.1 meters - 1.6 meters depth, Indoors. For this Swimming Pool, only phone number is number here. Updated on 2019 Badhusplanen 1-3 , Solna , SWEDEN (Postal Code: 169 55). This sports center provides 25 meters x 10 meters, 5 lanes, Indoors. Contact information for this Swimming Pool just like phone number and email address are number. Updated on 2019 Kopmannag 3 , Norrtalje , SWEDEN (Postal Code: Unknown). Among all the activities supplied by the center, when you are considering swimming you will appreciate 25 meters, 1.2 meters - 1.8 meters depth, 1.2 meters - 1.8 meters depth, Indoors. If you should contact this Swimming Pool, email address and phone number are both number. Updated on 2019 Varby alle 30 , Varby , SWEDEN. This sports center offers 25 meters, Indoors. For this Swimming Pool, only phone number is number here. Updated on 2019 Dalarvovagen 66 , Haninge , SWEDEN (Postal Code: 136 45). This sports center offers 25 meters, 8 lanes, Indoors. For this Swimming Pool, only phone number is number here. Updated on 2019 Drottning Sofias väg 20 , Östermalm , Stockholm , SWEDEN (Postal Code: 114 33). This sports center offers 25 meters, 6 lanes, Indoors. For this Pool, only phone number is number here. Updated on 2019 Attundavägen 5-7 , Taby , SWEDEN (Postal Code: 183 36). This sports center provides Olympic size, 6 lanes, 1.3 meters - 3.9 meters depth, 1.3 meters - 3.9 meters depth, Indoors. Contact information for this Swimming Pool such as phone number and email address are number. Updated on 2019 Farstaängsvägen 3 , Farsta , Stockholm , SWEDEN (Postal Code: 123 46). This sports center provides 25 meters, Indoors. For this Swimming Pool, only phone number is number here. Updated on 2019 Rangstaplan 2 , Högdalens Centrum , Stockholm , SWEDEN (Postal Code: 124 21). Among all the activities supplied by the center, if you're interested in swimming you can expect to take pleasure in 25 meters, 6 lanes, Indoors. If you might want to contact this Swimming Pool, email address and phone number are both number. Updated on 2019 Medborgarplatsen 6 , Södermalm , Stockholm , SWEDEN (Postal Code: 118 26). Swimmers like you reported 25 meters, Indoors. Unfortunately we do not have the email address of this Swimming Pool, but we can provide you with the phone number. Updated on 2019 Helsingforsgatan 1 , Kista , SWEDEN (Postal Code: 164 32). This sports center offers 25 meters, Indoors. Contact info for this Swimming Pool just like phone number and e-mail address are number.